Nosa Onaiwu is the visionary and Bishop of Arise & Shine International Ministries, Bedford, Texas-- a multi-racial, multi-cultural and multi-ethnic congregation. He is a vibrant Spirit filled leader commissioned by God to win souls, deliver, teach and equip them to fulfill their divine destinies. He preaches the word of God with boldness of faith, without fear or compromise. He is a man of prayer and well known for his monthly prayer meetings every 3rd Friday of the month called “BREAKTHROUGH NIGHT” and on the 1st Sunday of every month titled “TARRY FOR ONE HOUR”. He believes that prayer changes things, that with prayer you can rewrite your history, move the hand of God into your situation to bring a change and frustrate the plans of the wicked. 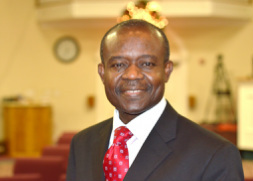 Bishop Onaiwu holds a Doctorate Degree in Ministry from University of America, California and a Master’s Degree in Christian Education from Dallas Baptist University, Texas. He is a Banknote Engraver by profession, and acquired professional training at De La Rue Giori, Switzerland. He worked with the renowned Nigerian Security Printing and Minting, Lagos Nigeria for 10 years before his call to the ministry. On April 16, 2016 he was consecrated as a Bishop by Archbishop Kirby Clements and Archbishop Margaret Benson-Idahosa. Bishop Onaiwu is blessed with five children—Blessing, Blessed, Bless, Blessedness, and Grace. 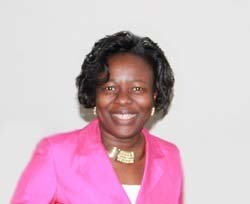 Adesuwa Nosa-Onaiwu is the Co-Pastor of Arise and Shine International Ministries, Bedford, Texas. She is a counselor, a teacher, an intercessor, and a prophetess. She has been called and appointed by God to preach the good news of Jesus Christ to those who are weary, lost and without hope. Her testimonies and various encounters with Jesus Christ show her genuine love for the Lord and His grace upon her. She is the founder of Daughters of Destiny International; a women’s ministry wing of Arise and Shine. She also hosts and organizes women's breakfast meetings, annual Women’s Conference and Pastor's Wives Conference. She is passionate about mentoring ladies both married and single to discover who they are in Christ and also empowering them with the word of God to fulfill their divine destinies. Pastor Adesuwa holds a Doctorate Degree in Christian Counseling from Friends International Christian University, California. She is an attorney by profession. Pastor Adesuwa went to be with her Lord and Savior, Jesus Christ, on Thursday, July 28, 2016 and is now part of the Great Cloud of Witnesses (Hebrews 12:1). She will be missed greatly by all, but we know that she is in the presence of the Lord and we will see her again in heaven.